The characterization of materials is the single most important step in understanding the processing-structure-property relationship, which often holds the key to successful problem-solving or product development. 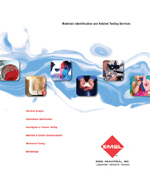 The Materials Science DivisionSM of EMSL Analytical, Inc. was established to help clients develop solutions to challenges in manufacturing, quality assurance and research and development. Today, we provide materials testing, characterization, and forensic laboratory services for a wide range of commercial, industrial, regulatory, and law enforcement clients. Our dedicated staff includes PhD scientists with substantial industry and academic credentials, and professionals with many years of experience in materials-related testing services. Our areas of expertise includes petrography, steels and high-temperature refractory alloys, metals and ceramics processing, mechanical behavior of materials, materials selection and evaluation, single crystals, nano-structures, microelectronic materials, and processing and characterization of coatings and thin films, to name a few. Our company-wide focus on customer service makes no project too large or too small. Our corporate research and development capabilities allow us to bring new methodologies on line quickly to meet new industry challenges and client needs. We are committed to providing reliable, defensible data in a standardized and user-friendly format. Rapid turnaround and competitive prices make the dependable results you get that much more valuable. Supported by a broad array of instrumentation, we apply a full spectrum of standard and customized analyses — elemental and chemical, structural, particle, surface, contaminant, mechanical, failure, bio-effectiveness — to your project. 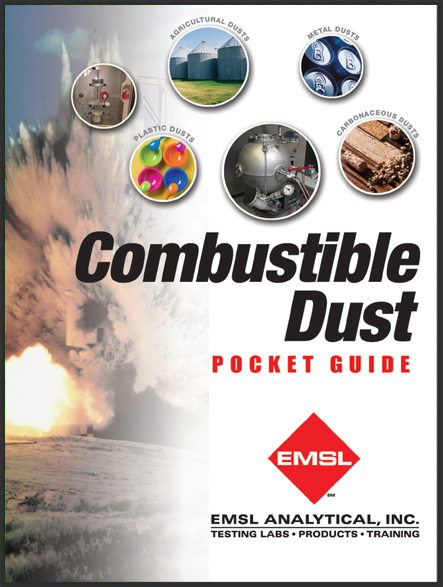 Click here to download a PDF copy of EMSL's Combustible Dust Pocket Guide. Visit our dedicated Materials Testing website at www.materialstestinglab.com.